The host was really kind. Our room had nice view to the ocean. Nice balcony with a view at the sea and a nice breeze. 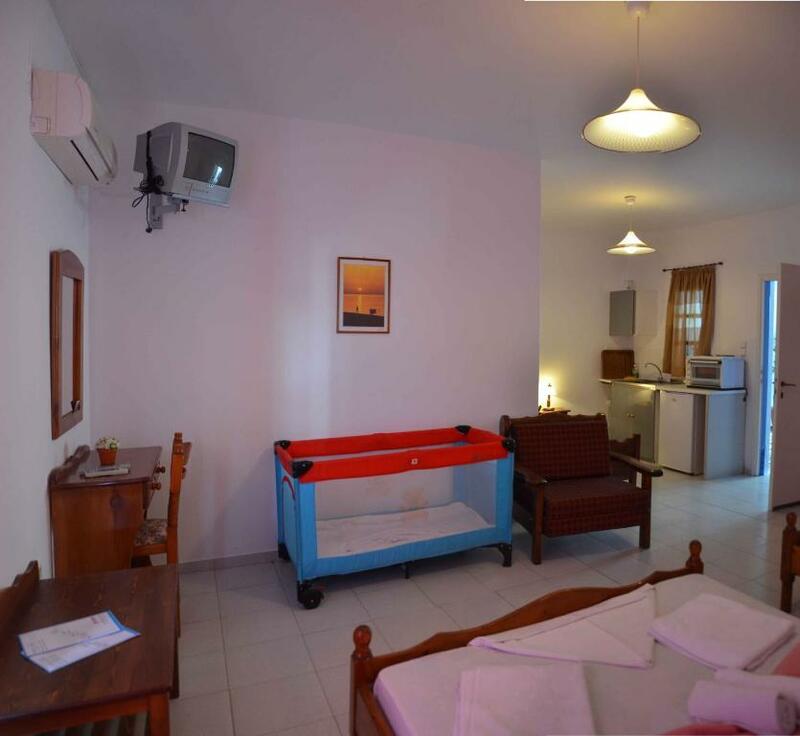 Good location very near to the beach and shops and restaurants. Perfect location. 2 minutes away by foot from the port and the city. You have a great view from the balcony over the city and the port with the beach. Even though we arrived at 2 in the night we where welcomed really nice. I can highly recommend this place! Christina was really lovely and very welcoming.The room was awesome and had a fabulous balcony all to ourselves where you could see the sea.Christina even did some much needed washing for us.She organised a taxi to collect us from the port when we arrived and the same when we left.A GREAT STAY. 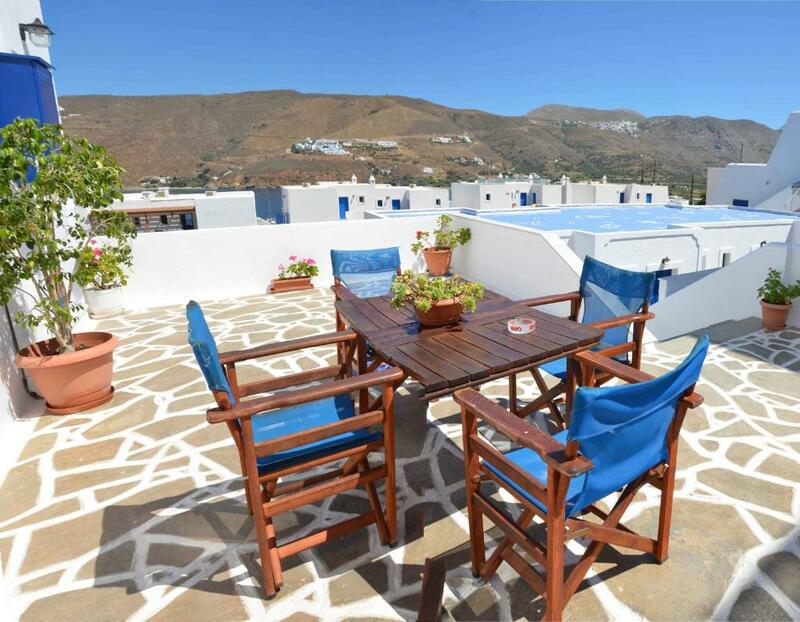 Lits hyper confortables, épais et neufs, les meilleurs de tous nos voyages en Grèce. Chambre de taille raisonnable. Emplacement pratique juste au-dessus du centre d'Aegiali, au calme. Bon rapport qualité-prix. 30€ en réservation de dernière minute fin septembre. Balcon vue mer (avec quelques immeubles devant quand même depuis le 1er étage, lais vue sympa quand même) Les personnes chargées du ménage étaient sympathiques. WIFI qui fonctionne bien. Pas de parking mais on se gare tout près facilement, hors-saison du moins. La localisation proche du coeur de vie d'Egialiet le prix payé ( en rapport des prix pratiqués dans l'île). Christina a été très arrangeante en nous permettant de rester dans notre chambre jusqu'au départ de notre bateau ( au milieu de la nuit). Notre chambre avait la vue sur la mer. Quartier calme . Bon accueil, chambre propre. .
Chambre propre et super vue sur la mer du balcon (nous étions au dernier étage). On nous a lavé nos affaires gratuitement ! Lock in a great price for Pension Christina – rated 8.5 by recent guests! 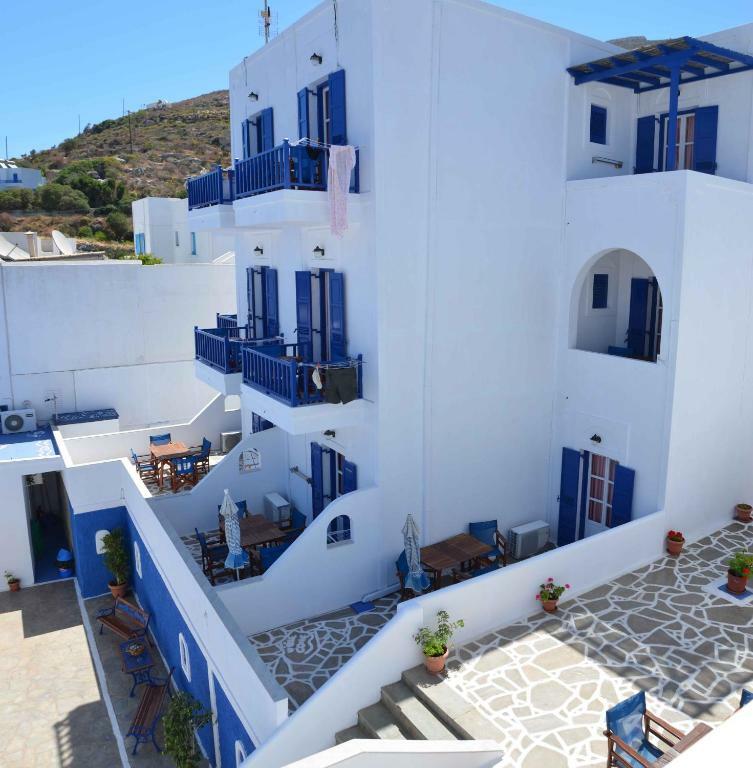 Just 650 feet from the beach of Aigiali the Cycladic-style Pension Christina features air-conditioned accommodations with free Wi-Fi and balcony overlooking the Aegean Sea. The port is just yards away. 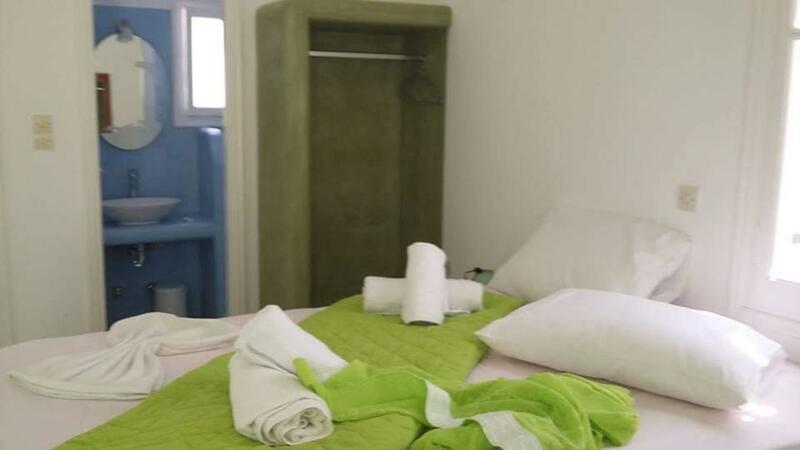 A fridge and TV are included in all accommodations types at the Pension Christina. Some units have a kitchenette. The center of Aigiali is within 650 feet. 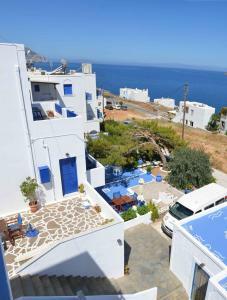 Amorgos Town with the stone-paved streets and whitewashed houses is 9.3 mi away. When would you like to stay at Pension Christina? 656 feet from the beach, this air-conditioned room offers free Wi-Fi and balcony overlooking the Aegean Sea. 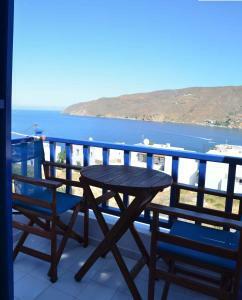 656 feet from the beach, this spacious, air-conditioned studio offers free Wi-Fi and balcony overlooking the Aegean Sea. A kitchenette is included. House Rules Pension Christina takes special requests – add in the next step! Room quite small, but that didn't matter as we only used it to sleep in . It is on a hill so no good for people with mobility problems. Minimal kitchen facilities. Needs clearer directions for arriving by car.